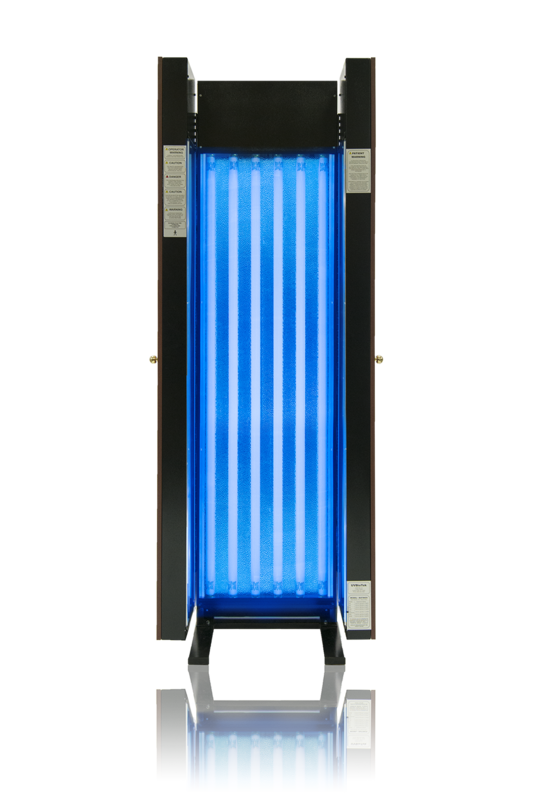 Our single-panel systems feature our patented folding-panel design and come in a variety of sizes, from four to ten UVB narrow-band Phillips lamps. 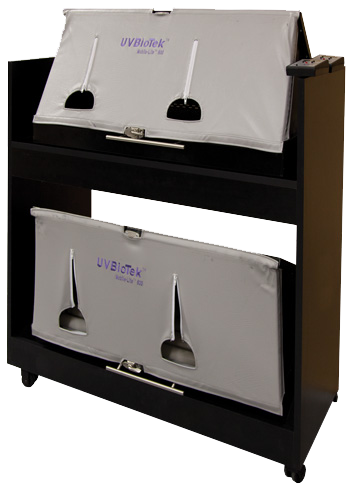 With attractive wood panel designs and a sleek, low-profile, space-saving frame, the UVBioTek single panel system is an affordable way to achieve full-body coverage from your home phototherapy sytem. 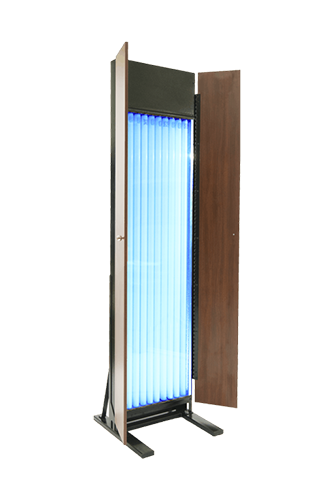 The Multidirectional is our premiere wrap-around phototherapy system, with three panels and two hinges for a system than can contour around the body to simultaneously cover more surface area than the single-panel systems. The multidirectional remains an affordable choice, while providing a much greater area of coverage and mimizing treatment time. The ultimate in UVB portability. 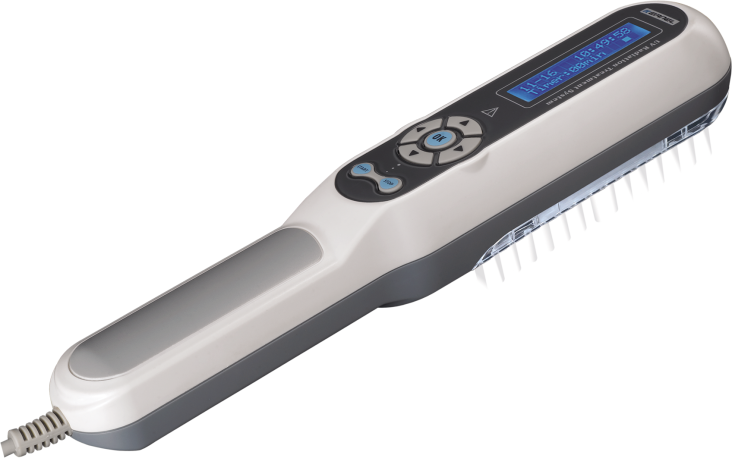 Useful in the clinic or for for patients in their own homes, the Hand Wand is ideal for spot treatments, including difficult regions like the scalp, hands and feet. An unbeatable option for the treatment of difficult-to-reach manifestations on the hands and feet. 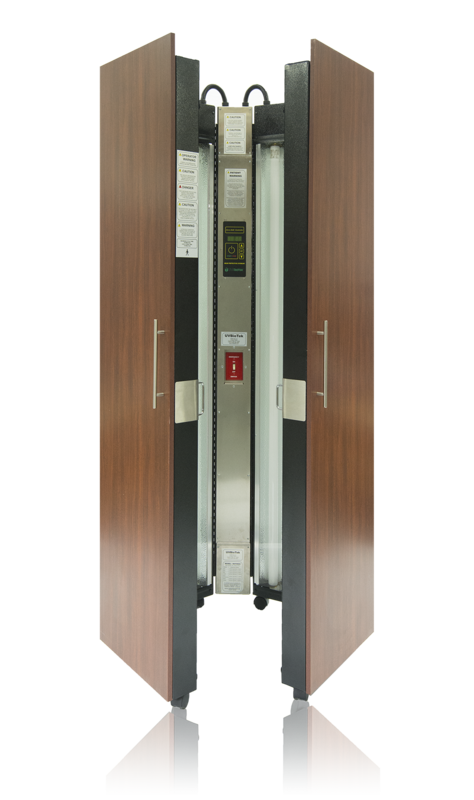 Portable, powerful, and convenient, the Mobile-Lite comes with an optional cart to combine two units into the ultimable mobile hands-and-feet system.